That’s me on the right. I have a son named Daniel who attends a college a few hours away. He lives with sixteen wonderful young men. Yes, I said sixteen. My friend on the left is Paula. She has a daughter named Gabi who is Daniel’s girlfriend. They’re our neighbors, and Gabi is also a student at the same college as Daniel. She, too, has sixteen roommates…only hers are all girls, you understand. My friend in the middle is Lisa. 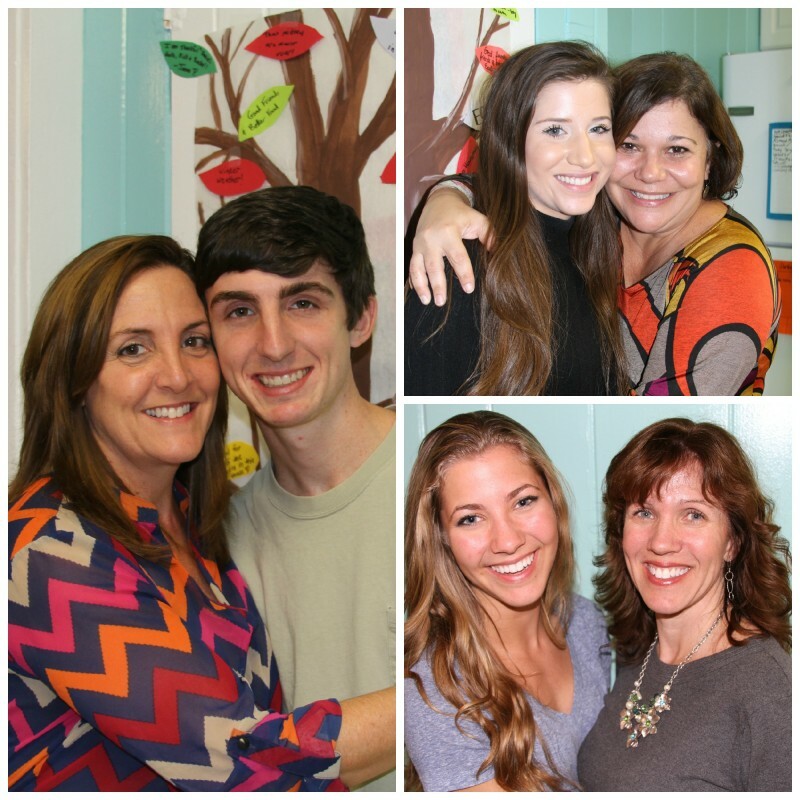 Lisa has two college students- Nick who is Daniel’s roommate, and Rachel who is one of Gabi’s housemates. Welllll, a few years ago a tradition was started. When our first son went away to college my husband and I and our at-home kids would visit him and take his roommates and other friends out to dinner. 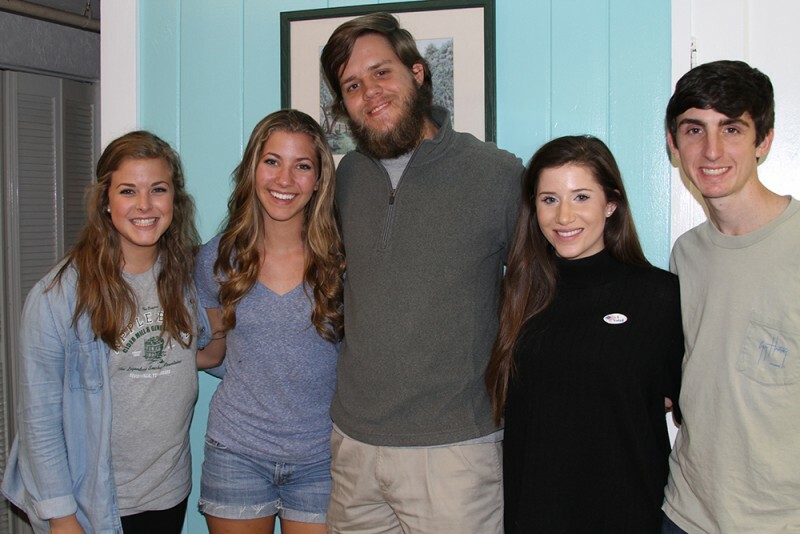 (We always liked to include other college students from our home town). When he moved into a home (ie. kitchen access, you understand) we began making dinner there once a semester or so. Fun memories of crowded quarters, lots of food, and wonderful fellowship. When our next son went away to college, he and Lisa’s son were roommates, so the tradition then included Lisa and I going to our college kids’ home and cooking for their roommates and friends. 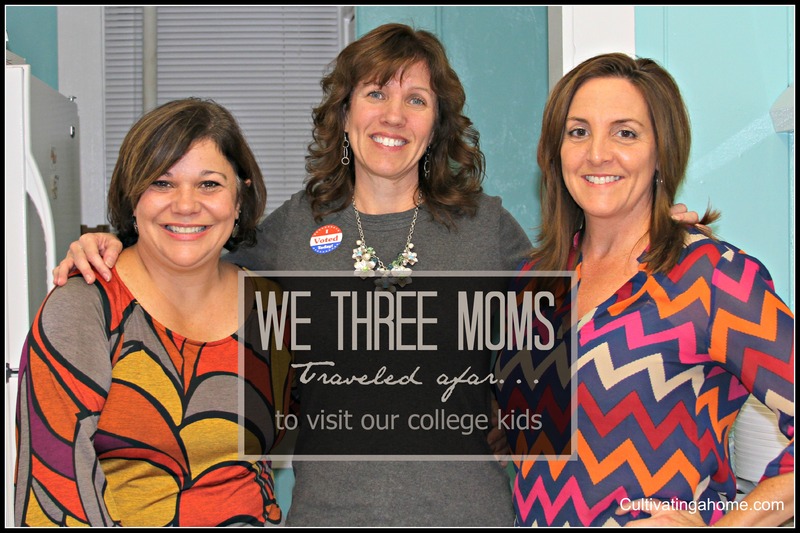 This year, with Gabi and Rachel as roommates, three moms are making this semester visit. Gabi requested a Thankfulness Tree for her “house” and I knew Daniel and the guys would definitely want one for their house. (Guys like to write out their feelings and express thanks, right?) When her request was texted in, her mother happened to be at my home, so we both got right to work with our banner paper, brown and white paints and painted two Thanksgiving Trees. 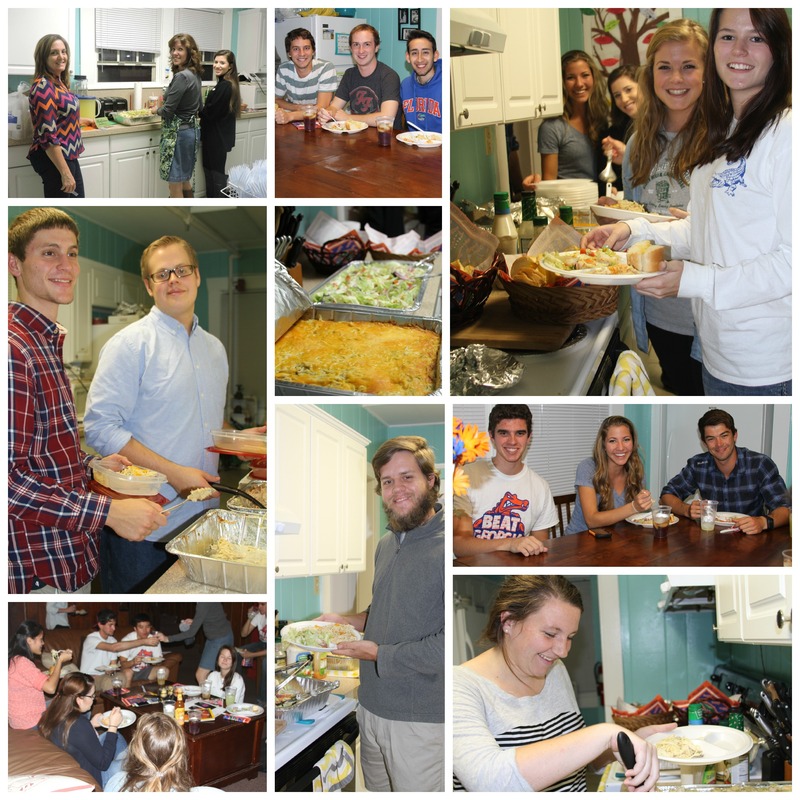 We totally enjoyed cooking, serving, cleaning, talking and laughing, writing leaves of gratefulness, and playing games with our kids and their roommates and friends. What a special time! 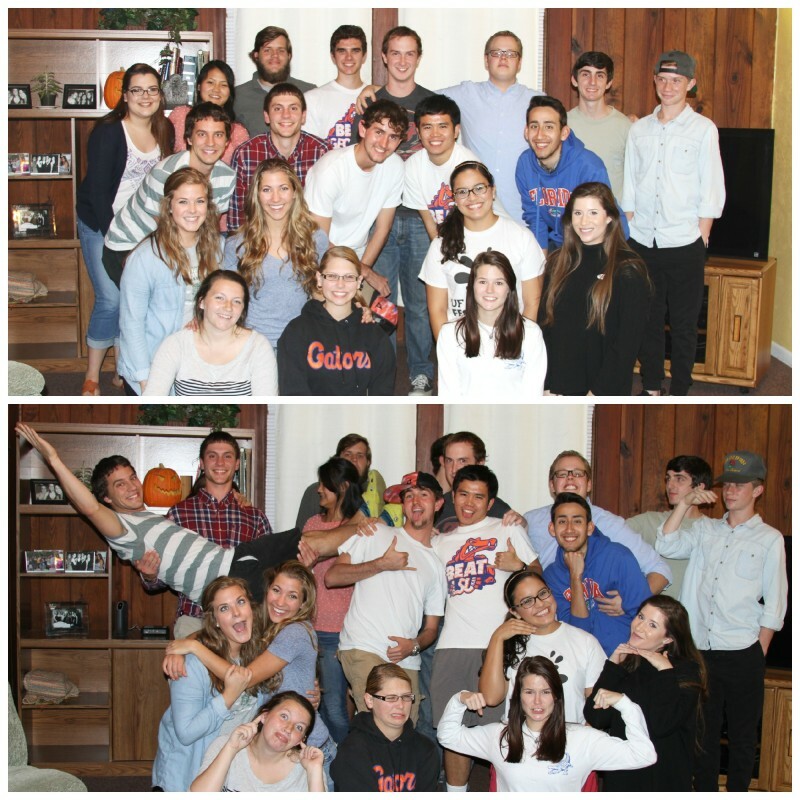 Here are some photos from our sweet college visit. Good eatin’ with college roommates and some friends from back home. 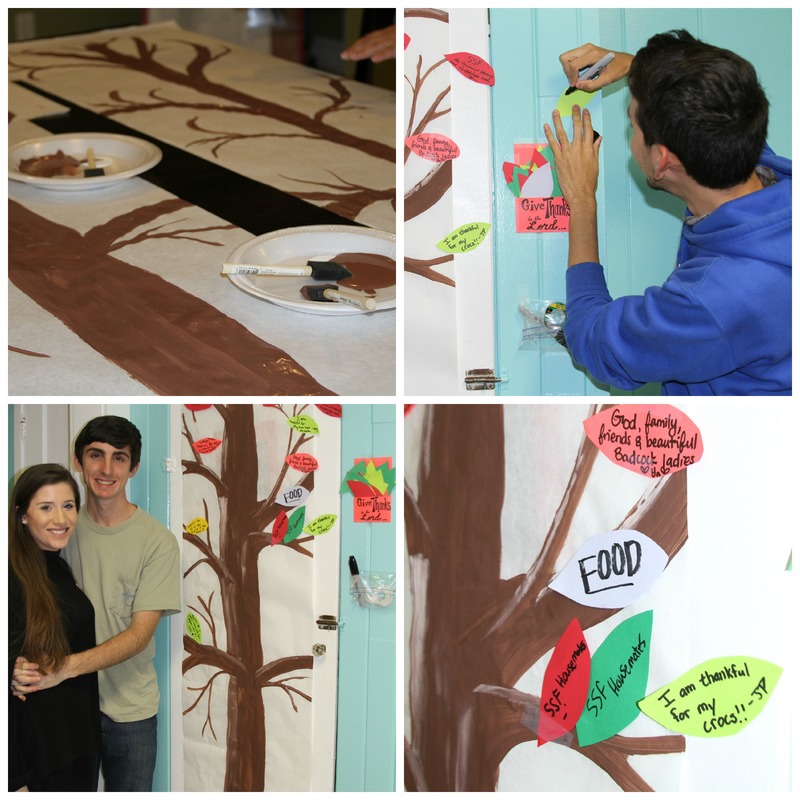 Thankfulness Tree made with banner (butcher) paper, brown paint, white paint (optional). Leaves cut out of construction paper. Adhere leaves with tape or double sided tape runner. Join my FB page to get notified of blog posts by clicking HERE. You can also be the first to get the blog posts by joining the email list on the side or bottom of this page. 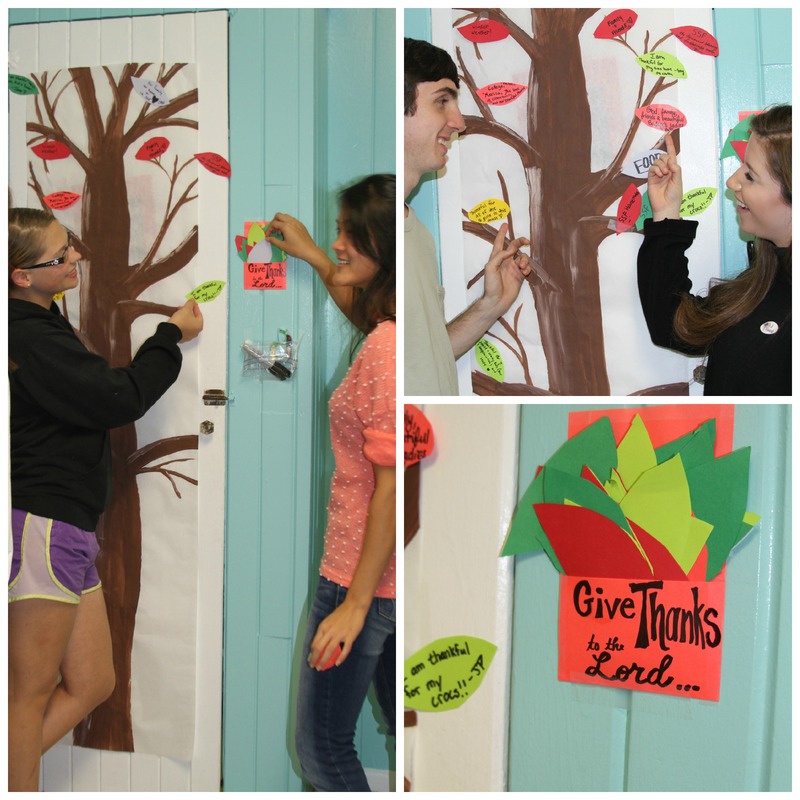 You can read and see more photos about the Thankfulness Tree in the previous post HERE.